Northwestern biology professors are involved in their own research and often invite students to participate as Junior Scholars or summer research assistants. You’ll earn a stipend working together as peers and possibly be included as a co-author when the professor publishes or presents research findings. Students can part of a school-year or summer research team with Northwestern professors conducting research off-site. They also can also spend summers doing paid research at universities across the U.S. 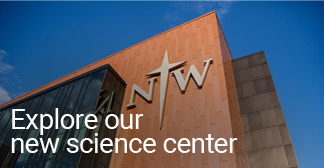 Your Northwestern professors will help you find and land fellowships in labs conducting research funded by the National Science Foundation and NIH.